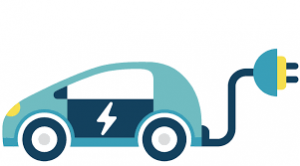 The Maryland Public Service Commission issued an order on January 14, 2019, approving Electric Vehicle (“EV”) Portfolio Programs for Maryland’s electric distribution utilities. The EV Portfolio Programs aim to increase EV usage in Maryland by expanding EV tariff options, furthering utility investment in EV charging infrastructure, and offering customer programs for EV owners. Baltimore Gas and Electric: BGE’s proposed program included installation of 18,455 EV chargers, costing $48.1 million. For residential customers, BGE proposed $9.7 million in rebate programs that could be pared with BGE’s existing “Whole-House Time-of-Use Rate” for customers with EV chargers. BGE also proposed $14.1 million in rebates and incentives, as well as a “Demand Charge Credit” program, for non-residential customers who install EV chargers for fleet use. In addition to these customer programs, BGE proposed a public network of 1,000 EV chargers, costing $17 million, and a grant program for 490 EV chargers, costing another $7.2 million. Pepco and Delmarva: Pepco and Delmarva proposed similar programs, including a combined 3,038 EV chargers costing $41.9 million. The Pepco and Delmarva proposals also included residential rebate programs, off-peak charging credits, and expansion of Pepco’s “Whole-House Time-of-Use Rate” to Delmarva. The price tag for the Pepco and Delmarva residential programs was $5 million. For non-residential customers, Pepco and Delmarva proposed rebate and incentive programs for EV chargers, a demand charge credit program, for a combined cost of $10 million. Pepco and Delmarva also proposed installing 608 public EV chargers, costing $16.9 million. Pepco and Delmarva proposed $6.9 million in additional rebate and grant programs for installation of EV chargers. The proposed “DC Fast Charging with Energy Storage” demonstration project is aimed at minimizing adverse grid impacts from installation of fast charging stations, for another $2.8 million. Potomac Edison: Potomac Edison also proposed rebates, incentives, public chargers, and EV tariffs, with a total of 2,259 EV chargers costing over $12.3 million. 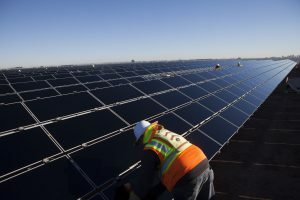 The utilities proposed ratepayer financing for the $104.7 million investment in new infrastructure charging portfolios, meaning customers will pay for these programs through electric distribution rates or customer surcharges over a five year period. However, there are other state and local incentive programs available that may offset some of the costs for the new chargers. Some of the costs would also be recovered from charging customers that use public or non-residential chargers. As discussed below, the Commission did not approve these programs as proposed, reducing the program size and the cost to Maryland ratepayers. In its order, the Commission reduced the BGE and Potomac Edison residential rebate programs to a total of 1,000 each. The Commission also limited the rebate to $300 (compared to the proposed $500 rebate). The Commission approved the proposed Pepco and Delmarva residential rebate offerings. The Commission also approved continuation and expansion of utility “Whole-House Time-of-Use Rate” offerings for residential customers. Regarding the non-residential customer proposals, the Commission limited its approval to rebates and incentives for EV chargers installed at multi-unit or multi-tenant dwellings. The Commission also approved a limited number of rate-payer funded public charging stations: 500 for BGE, 100 for Delmarva, 250 for Pepco, and the full 59 proposed by Potomac Edison. The Commission rejected the proposed $14 million in innovation rebate and grant programs, as well as the proposed Pepco and Delmarva demonstration projects. The Commission also directed all the utilities to recover costs through traditional ratemaking in a future rate case (as proposed by BGE, Delmarva, and Pepco), rather than Potomac Edison’s upfront customer surcharge. The next step is for the utilities to develop and submit tariff proposals to implement the EV programs approved by the Commission. If you have any questions about the Maryland Public Service Commission’s decision on the Statewide Electric Vehicle Program or other regulatory issues, contact Eric Wallace or any of our mid-Atlantic energy lawyers. Earlier this month, five competitive retail suppliers (NRG Energy, Inc., Interstate Gas Supply, Inc., Just Energy Group, Inc., Direct Energy Services, LLC, and ENGIE Resources LLC) filed a petition with the Maryland Public Service Commission to implement supplier consolidated billing. 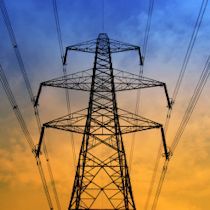 If approved, the petition would allow retail suppliers to directly bill customers for both retail generation supply charges and utility distribution charges. 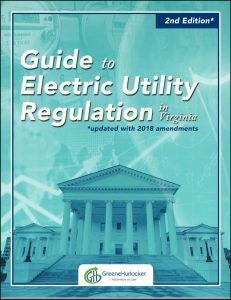 Utility consolidated billing (where the utility bills customers for both the utility’s charges and the supplier’s charges) has been in the norm since Maryland restructured its energy market to enable retail competition. The Maryland petition seeks to flip that model on its head. According to the petitioners, the supplier consolidated billing (“SCB”) model is a significant step in the evolution of competitive retail energy markets. In Texas, where SCB has been the standard for many years, suppliers have more flexibility to inform customers about their energy usage, develop innovative products and service structures, and adapt their customers’ bills to accommodate changes in the market. With SCB in place in Maryland, suppliers will be able to introduce new products and services that are not possible under the current utility billing model. 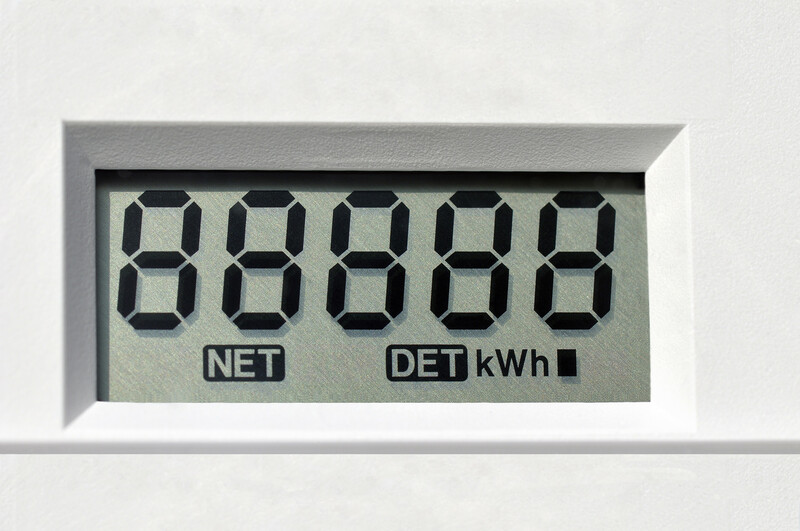 As examples, suppliers will be able to offer flat billing options – where customers pay a set amount each month no matter how much energy they use or when they use it – and prepay service options – where customers pay in advance for their energy usage and then the energy they use counts against their account balance, with regular updates on the funds in their account and no surprise bills at the end of the month. In addition to these billing options, suppliers will be able to better inform customers about their usage and offer other energy-related products and services to Maryland customers. Supplier Qualifications – Suppliers must meet specific experience, operations, and financial security requirements to offer SCB services. Receivables – Suppliers must purchase the full value of the utility’s receivables (for utility distribution charges) and take on responsibility for billing those amounts through to the customer. Disconnect for Non-Payment – Currently, when a customer does not pay their utility bill, they will eventually have their service disconnected. With SCB, the same result would occur – with all existing customer safeguards remaining – but the supplier would initiate disconnects by notifying the utility that no payment has been received. 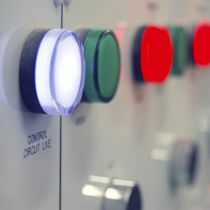 From there, the utility would utilize existing disconnect procedures, including notifications to the customer. According to the petition, it is imperative that suppliers offering SCB services have the same tools at their disposal as to the utilities to manage their bad debt and encourage timely collections. The Commission issued a Notice on September 15th requesting comments on the petition by November 15, 2017. If you are interested in learning more about the Maryland SCB petition or other issues affecting competitive retail energy markets in Maryland and other Mid-Atlantic jurisdictions, please contact GreeneHurlocker’s energy lawyers and regulatory attorneys. Good news for Maryland’s competitive energy suppliers and their customers. In the past few weeks, the Maryland Public Service Commission issued two Letter Orders rejecting requests by BGE, Pepco, and Delmarva Power to include in the Purchase of Receivables programs costs incurred to comply with the recent RM54 proceeding. In other words, they wanted to recover those costs from competitive retail suppliers. Under the utilities’ proposals, costs to implement certain market enhancements – including 3-business-day accelerated switching – would have been recovered through the discount rate applied when the utility purchases supplier receivables. There were slight differences to the utilities’ arguments. BGE argued that its current tariff allowed for recover through the POR rates of RM54-related costs. The Commission agreed with the Retail Energy Supply Association that BGE’s tariff does not allow BGE to recover these costs through POR discount rates. Pepco and Delmarva had sought to modify their respective tariffs to include language allowing for recovery. The Commission said no. Also, in each case, the Commission stated that it “does not believe that it would be appropriate to force suppliers and their retail customers to bear the costs associated with the implementation of a program that benefits all ratepayers, as well as the competitive market as a whole.” Instead, the utilities can seek cost recovery through a base rate case. RESA scored another win on a second issue in the case when the Commission rejected BGE’s proposed exclusion of revenues from late payment charges (“LPCs”) in the POR discount rate, effectively reducing the amount BGE pays suppliers for receivables purchased through the POR program. In a powerful rebuke to BGE’s proposal, the Commission explained that for “the past six years the Commission has consistently approved the inclusion of the LPCs in the discount rate calculation. Similarly, the Commission has consistently denied any request for exclusion of these charges. The Commission reaffirms the reasons previously given for requiring the inclusion of LPCs in the calculation, declines to make the significant policy change being requested by BGE, and denies the Company’s request that LPCs be omitted from its POR discount rate.” This is a great result for RESA, the competitive retail energy supply markets in Maryland, and Maryland energy consumers. Brian Greene, managing member of GreeneHurlocker, PLC represented RESA in this matter as referenced in the Commission’s Letter Order. The lawyers of GreeneHurlocker are pleased to be able to report this good news from Maryland and look forward to continuing to serve our clients in Maryland and the other jurisdictions where they operate. If you have questions about the details of this Commission Letter Order or any other matters involving regulated industries, please contact one of GreeneHurlocker’s regulatory attorneys.